Buy picjumbo a Coffee. ko-fi.com/picjumbo - Ko-fi ❤️ Where creators get paid by fans, with a 'Buy Me a Coffee' button. 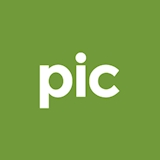 picjumbo is free stock photo site created by me, designer & photographer Viktor Hanacek in 2013. It all started when any regular stock photo site didn‘t want my photos due to "lack of quality." But I'm happy for that! Two years later people downloaded more than two and half millions images from picjumbo website! If you like picjumbo images, please consider supporting what we do. Thank you for your support! ❤️ And don't worry, we won't actually spend it on coffee! Secured Payments. Support goes to picjumbo's account. Upgrade picjumbo to a yearly Gold Membership with a one-time payment.